If you prefer you speed units the imperial way, we’re talking a brake lock-up at 105mph, and an Armco hit at almost 70mph. Ouch. 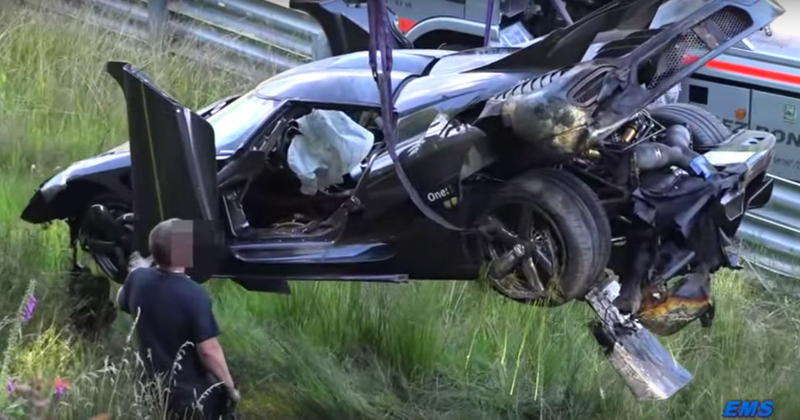 Koenigsegg also confirmed there was a small fire due to the exhaust hitting carbonfibre body panels upon landing, with the driver quickly putting out the flames himself using an onboard mounted fire extinguisher. Unfortunately, this meant when the driver got to the heavy braking zone at Fuchsröhre, the ABS failed to trigger. The ABS system’s back-up feature did work however, keeping the rear wheels turning to prevent a spin - as evidenced by the perfect ‘number 11’ lines that went straight up to the crash site. 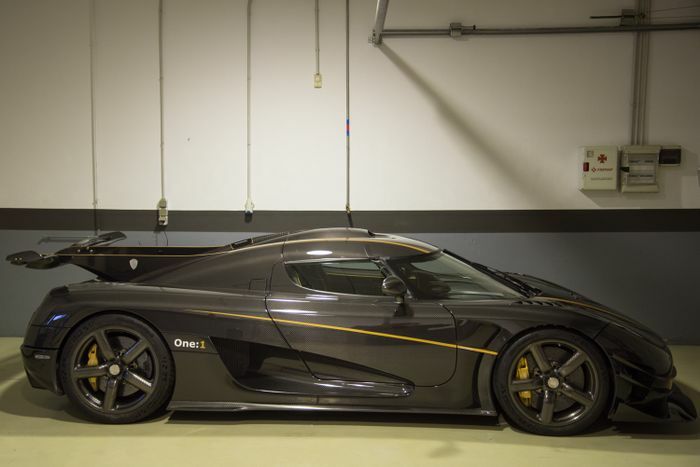 That rebuild will take some time however, so it’s going to be a while before team Koenigsegg is back at the ‘Ring chasing records. “Will we be back this year? That is also hard to say at this point, but we won’t say a definite ‘no’,” the company states. Here’s hoping we won’t have to wait too long to see the One:1 back in action at the Green Hell.